All Fischer homes currently listed for sale in Fischer as of 04/22/2019 are shown below. You can change the search criteria at any time by pressing the 'Change Search' button below. If you have any questions or you would like more information about any Fischer homes for sale or other Fischer real estate, please contact us and one of our knowledgeable Fischer REALTORS® would be pleased to assist you. "Panoramic views from everywhere! Beautiful country home on a hill top in Fischer with 11.873 acres. Custom built home, only 11 years old, coffered ceilings, open floor plan with beautiful kitchen, granite and custom cabinets. Bathrooms have antique cabinets and fixtures. 4 bedrooms and 2 baths in main home, plus a 720 sq. ft. guest house next to the 1008 sq. ft. shop. 1/4 acre stock tank, plus an above ground salt water pool with custom decking. Ag exempt. This is a little piece of Heaven!" "New premium quality construction. THE VIEW!!! Stunning hill country view. Spacious, open floor plan with high ceilings, tons of natural light, excellent flow and use of space. An upstairs second master boasts a hidden bonus room. Slated for completion May 2019. This will not last long." "Quality built home in gated neighborhood.Exquisite granite countertops,deep farm sink,built in wine/drink cooler, sparkling glass cabinet fronts mixed w/ solid fronts paired with the stainless steel appliances make the kitchen a dream.Master bathroom feels like a spa with large walk in shower,luxurious free standing garden tub.Spacious flex room could be used as game room,media room or possibly mother-in-law suite.Detached garage with breezeway charms with wrought iron rails." "Home completion by June. Agent is Realtor/Builder. Call agent to get gate code and view home. Appraiser will verify dimensions." 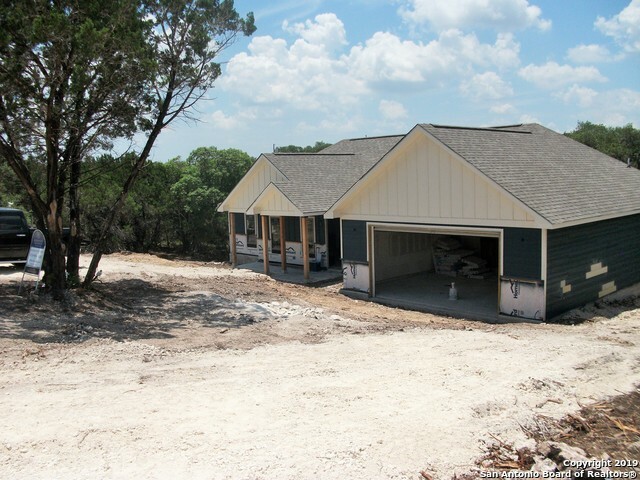 "2014 sq ft 3 bed room with study/bonus room near the north side of Canyon Lake! 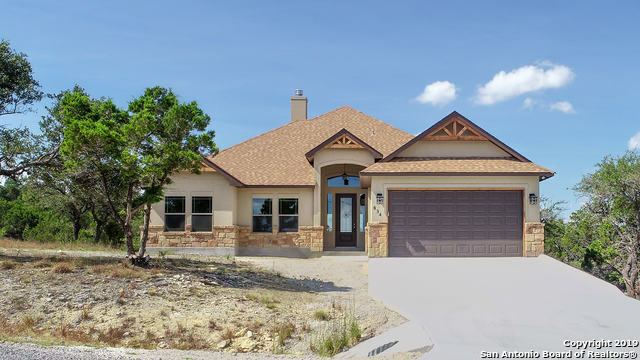 This new home has many upgrades/custom features such as 32 tiled floors, high ceilings, custom covered back porch to relax or entertain, frame less glass master shower, over sized bedrooms, upgraded cabinets and granite through out all sitting on 1 acre in a gated community just 10 min from the lake and recreation areas that Canyon Lake Provides! Approx completion date Jan 2019. 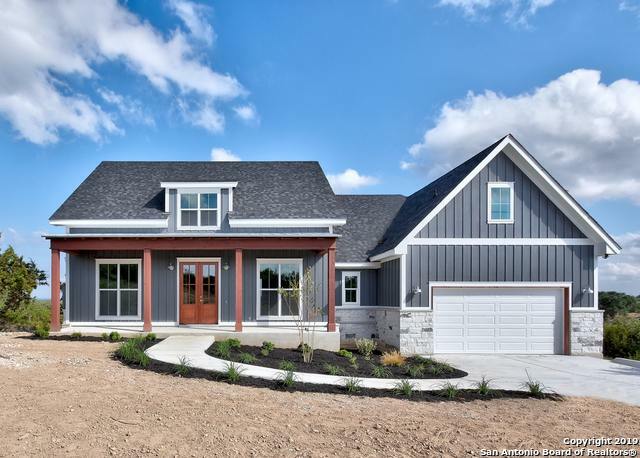 Lots of wildlife and quiet living awai"
"RELAX IN THIS AMAZING NEW MODERN FARMHOUSE BY BUTTRUM HOMES: Open floor plan with vaulted ceilings, floor to ceiling rock fireplace with gas starter, 8' doors, granite counter tops, gas range, spacious 3-car garage with openers and a huge covered patio with T & G ceiling. Superior quality at an excellent price. Summit Estates is a gated community in popular Fischer, Texas. 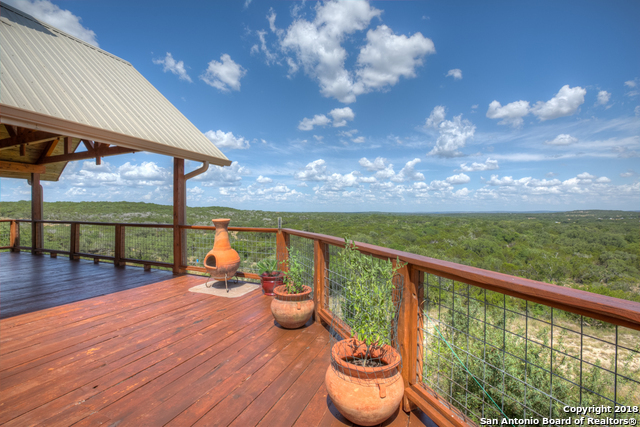 Close proximity to Canyon Lake where it is peaceful and quiet. More photos coming as the house progresses." "Don't miss this brand new spacious single story! Open floor plan with high ceilings, huge kitchen island, coffee bar, mud room, office, oversized utility room and storage galore! Large one acre lot in a gated community. Welcome Home!" 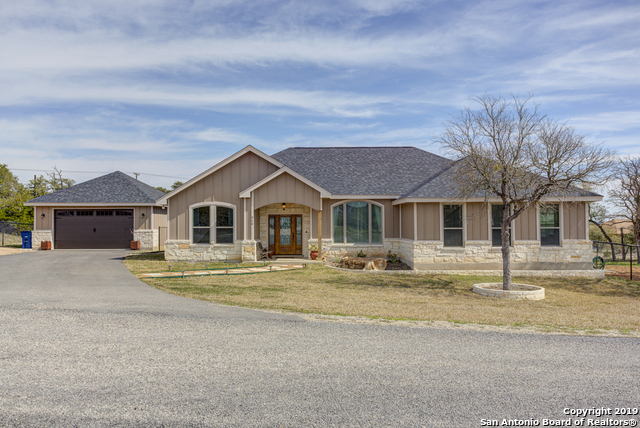 "FULLY ASSUMABLE VA for this PRISTINE, HILL COUNTRY home in sought after gated community in historic Fischer, TX. Enjoy spectacular front porch sunsets & shaded evenings on 10 x 21 backyard patio. Windows galore naturally light this home. Open floor plan. Split master. 2 eating areas. Energy efficient XL TRANE A/C-12 mo.avg. PEC $76. Landscaping in place & lot extends almost 1/2ac. beyond back landscape. Add a workshop or keep natural. 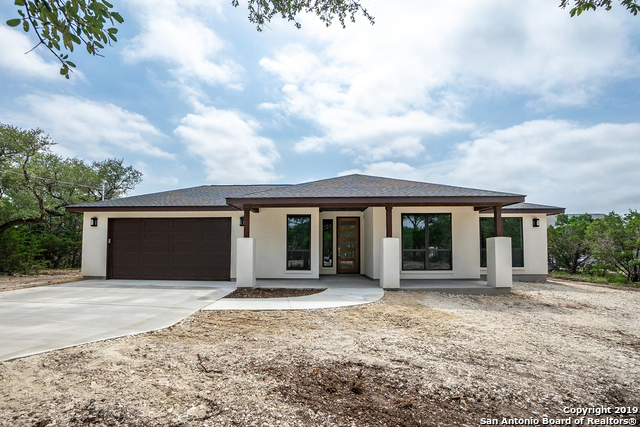 Close to Canyon Lake, Wimberley, New Braunfels, & short drive"
"Brand new hill country home built by River Cliff Homes! Gated access! Newly designed open floor plan with split bedrooms and a modern feel. Finishes to include custom cabinets, granite counter tops, custom tile, and stainless appliances. The exterior is a contemporary look with stucco finishes. 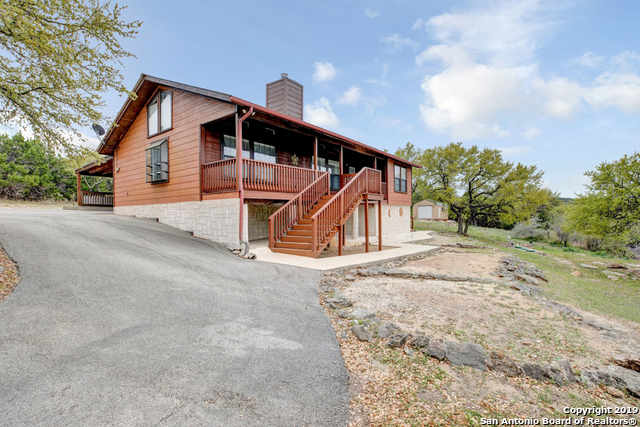 The large rear covered porch overlooks the tree covered one acre hill country lot. 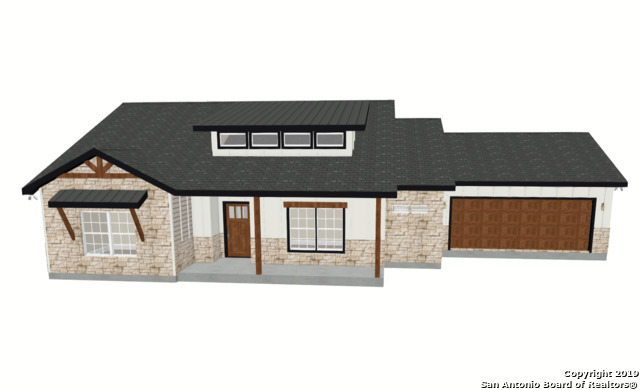 No city taxes, desirable Comal ISD, 10 min to Canyon Lake and the Guadalupe River for all your water activitie"
"Under Construction Now - Small custom home on over half acre! Est. Completion Aug/Sep 2019. Stainless Whirlpool Appliance Package (incl. fridge! )*Granite countertops throughout (incl. baths)*Solid Wood Cabinetry w/Soft-close Drawers*Soft Water Loop*Wood vinyl floors, carpeted bedroom, & tile bath standard*Custom glass shower door in master*Custom tiled shower*Coffered ceiling in living w/tongue and groove wood*Covered patios*Outdoor Fireplace*2 Car Garage*Art Niche*Dual Master Closet*"
"This is your opportunity to live the Canyon Lake lifestyle. Peaceful, quiet, nice neighbors and a view to die for. This almost new home is available for immediate occupation. The pictures tell a better story than I ever could. It's just a really nice house in a really nice neighborhood with a really nice view. Owners added a propane tank (owned) and had a propane stove installed when built. One look and you'll be telling your friends and neighbors that you're moving to Canyon Lake!" "NEW SISTO HOME IN DESIRABLE RANCHO DEL LAGO. THIS IS A 3 BEDROOM/2 BATH, SPLIT FLOORPLAN WITH OVERSIZED 2 CAR GARAGE ON A BEAUTIFUL HALF ACRE (PLUS) LOT. FEATURES INCLUDE HIGH CEILINGS, GRANITE COUNTERTOPS, AMANA APPLIANCES, UPGRADED FLOORING,CABINETS, FIXTURES AND A COVERED BACK PORCH. BUILDER PROVIDES A 3RD PARTY 1-2-10 YR WARRANTY. ESTIMATED COMPLETION DATE OF MID JUNE. STILL TIME FOR BUYER SELECTIONS ON FINISH OUT. GREAT LOCATION CONVENIENT TO SCHOOLS, SHOPPING AND WATER RECREATION AREAS." 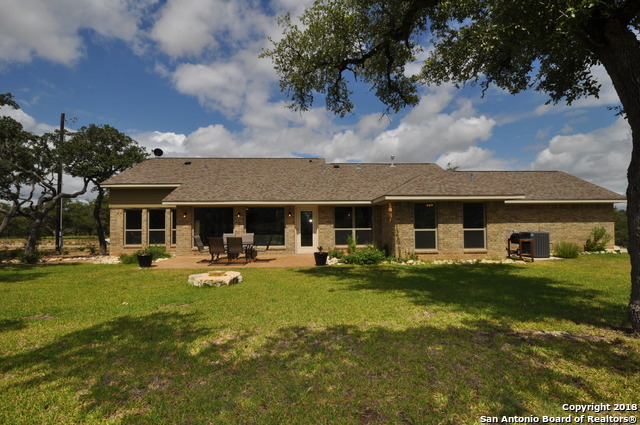 "Beautiful 3/2 with amazing hill country views in the highly desired Stallion Springs neighborhood. Open concept for the living, dining and kitchen. Ample closed in storage underneath the home. If you are looking for a little bit of country but still close to town then this is the home for you."